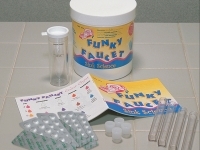 Kit designed for testing tap water for pH, chlorine, hardness, copper and iron. 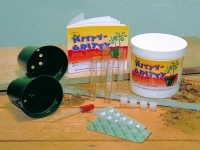 Kit designed as an introduction to the basic concepts of soil science. Kit designed for testing tap water from any source and studying impact of urban water on the city's environment. Introduces the basic concepts of water chemistry. Tests include Chlorine, Copper, Dissolved Oxygen, Hardness, Iron, Nitrate, pH, Phosphate, Temperature and Coliform Bacteria. 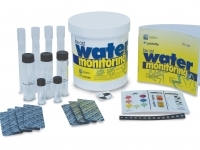 Kit designed as an introduction to a water quality monitoring programme. Used for testing fresh, brackish or saline water. Tests for pH, Dissolved Oxygen, Biochemical Oxygen Demand, Temperature, Turbidity, Nitrate, Phosphate and Coliform Bacteria. Kit designed for testing pH levels in soil, within a range from 4 - 11 units. 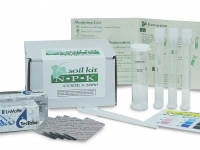 Kit designed for testing levels of Nitrogen, Phosphorus and Potassium in soil.